Like astrology, palm reading, and healing crystals, tarot is having a bit of a moment right now. Personally, I couldn’t tell you if I really believe in the mysticism of the tarot or not (it’s complicated, k?) but as a writer and an artist, I often find myself coming back to the tarot for its extensive use of symbolism in imagery, and the way each card itself is a symbol for a complex facet of life. 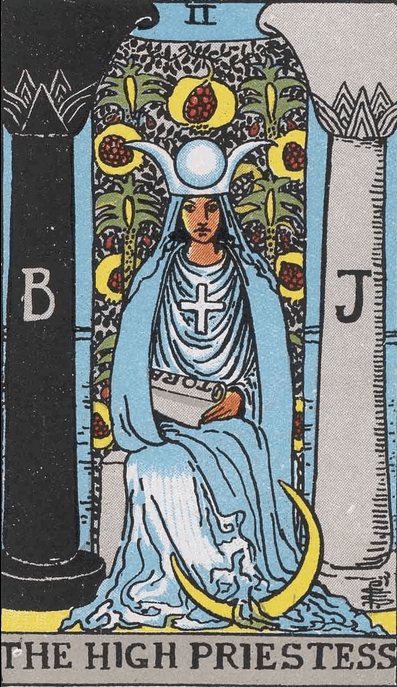 In this article, I’ve created looks based on the symbolism of some of my favorite tarot cards from the major arcana: the Fool, the High Priestess, and the Hermit. The tarot deck consists of 78 cards– 22 in the major arcana (the trump cards) and 56 minor arcana (suit cards). Like a playing card deck, there are four suits with 14 cards each: wands, cups, pentacles, and swords. Each suit represents a realm of life; the spiritual, the emotional, the physical, and the mental, respectively. 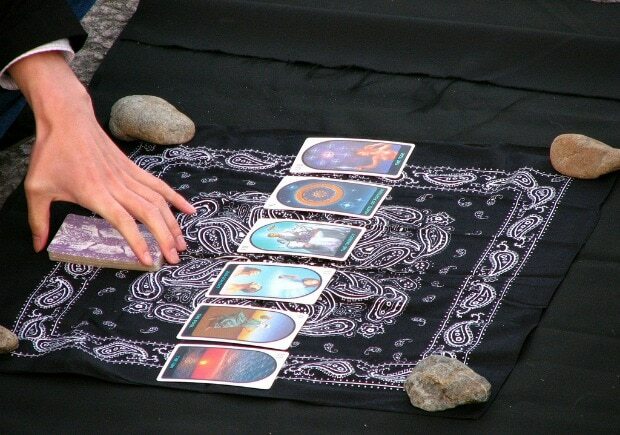 Tarot cards are read through spreads in which the reader has a question in mind, and the card in each position represents an angle from which the reader may examine the question. The cards may appear inverted in the spread, and they have different (but related) meanings when they appear this way. 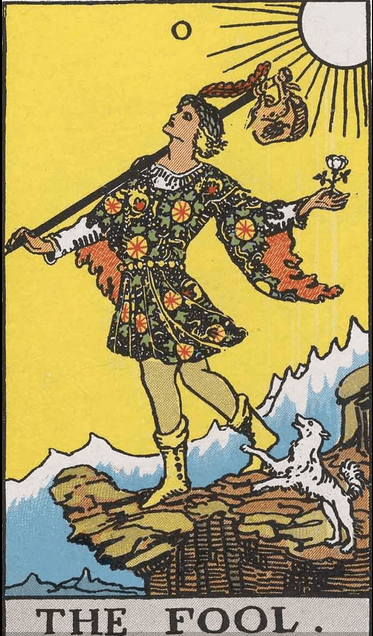 The Fool, often numbered as card 0 of the major arcana, gets a bad rap. When right-side up, the Fool represents a bunch of beautiful and wonderful things that are perfectly relevant to college students: the beginnings of adventure, a sense of wonder and spontaneity, innocence and optimism, and an abundance of creative energy. It’s only when this card shows up upside down that you’re being, well, a fool. Channel the innocent, spontaneous, and adventurous spirit of the Fool in an all-white ensemble that you can wear anywhere this summer. Start with a classic white lace dress with a trendy detail (like this Bardot-inspired off-the-shoulder silhouette). Finish your look with a dewy, youthful complexion, baby pink lips, and trendy Birkenstock sandals. The High Priestess, often labelled as the second card in the major arcana, is the guardian of all things feminine and mystical in the tarot. She is the counterpart of both the Empress and the Heirophant. This card represents the subconscious and intuition, as well as knowledge and mysticism. 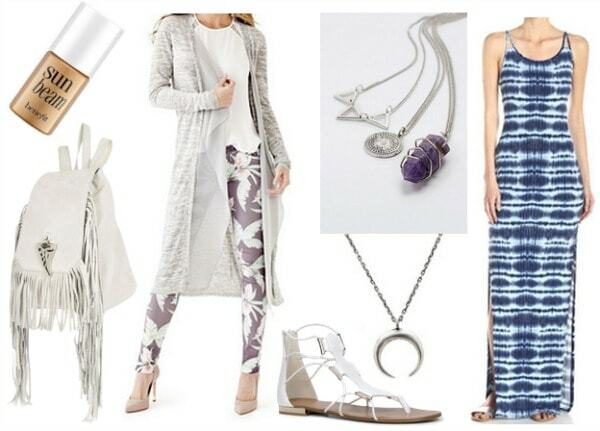 For a look inspired by the High Priestess, start with a super-cool boho maxi dress, like this blue tie-dye one, then pile on the necklaces, including a cool moon necklace (a symbol of mysticism the High Priestess is very rarely depicted without). Throw on some other cool, boho accessories, like a fringed backpack and strappy sandals. 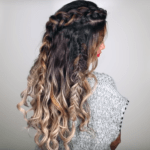 Finish with a few dabs of a golden highlighter for a shimmery goddess glow, and you’re good to go! 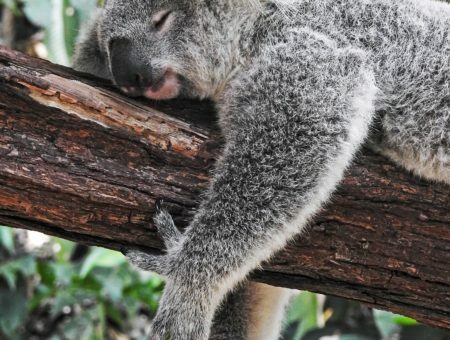 The Hermit is the patron saint of folks like me– introspective loners with a tendency to be reclusive. 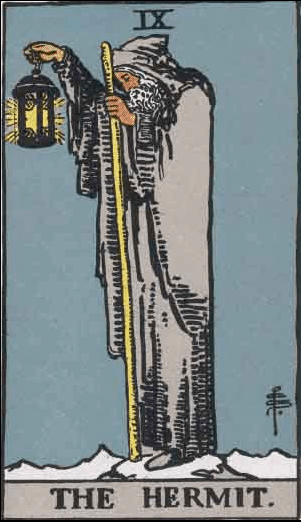 The Hermit is another guardian of knowledge who is ready to share his knowledge with the world, but struggles with feeling isolated and connecting to others. I get this card a lot in my own readings, especially when I am not taking the time to sit and reflect on my life, or when I’m struggling with my creative practices. Channel the Hermit’s rough-on-the-outside look with an edgy outfit punctuated with grungy elements. Start with a comfy pair of boyfriend jeans and a sassy crop top, then add a cool pair of cut-out booties and a flannel tied around your waist. Add symbolic jewelry, like a pair of bar earrings (which are similar to the Hermit’s staff, a symbol of the narrow road of wisdom) and a lantern-inspired charm necklace (the lantern is a symbol of the knowledge the Hermit shares with the world). Do you use the tarot? Which cards are your favorite? 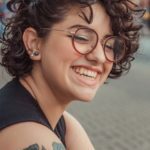 Would you like to see more tarot fashion posts? Let me know in the comments below!